If an unfortunate accident has left your trusty iPhone 6s Plus unusable and you need it repaired quickly, you’re lucky to have found iPhone Repair Santa Barbara. We offer high-quality iPhone 6s Plus repairs that can usually be completed in 30 minutes or less and for prices that won’t break the bank. We don’t believe that getting an out-of-warranty repair should be complicated or a nuisance, so we created a process that is convenient and quick. We start every repair with one of our diagnostic services. These exams are completely cost and obligation-free and they give the technician the opportunity to determine which repair service is best for your device. If you think that your iPhone 6s Plus has internal water damage, it is important to bring it to a repair professional as soon as possible after the incident. Water inside of important hardware can cause corrosion, which can lead to irreparable short circuits. The sooner a repair professional can open it up and perform a clean-up, the better chance your device has. While we most often take care of screen damage, part replacements and water damage on the iPhone 6s Plus, we also complete camera repairs, charge port repairs and battery replacements. If you’re not sure which issue your device has, bring it in anyways and we will diagnose it for you. 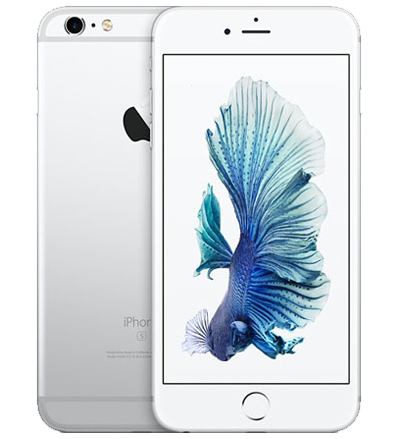 One of the most popular issues we deal with is screen repairs for the iPhone 6s Plus. If you just dropped your device and have cracks spider webbing all over your phone, don't worry! Pick up the phone and call your local iPhone repair shop and we will repair your iPhone 6s Plus to a condition better then before you dropped it. We protect all of your newly repaired parts with a standard 90-day warranty that can be processed at iPhone Repair Santa Barbara. We also encourage our customers to take advantage of our low price guarantee. We want to make sure that we are providing the lowest possible price for your repair, so if you can find a lower advertised price for the same repair, we would be happy to match that price for you. A broken iPhone 6s Plus shouldn’t throw your whole day off. Bring it or anything else with a power button to iPhone Repair Santa Barbara for a fast and professional repair.